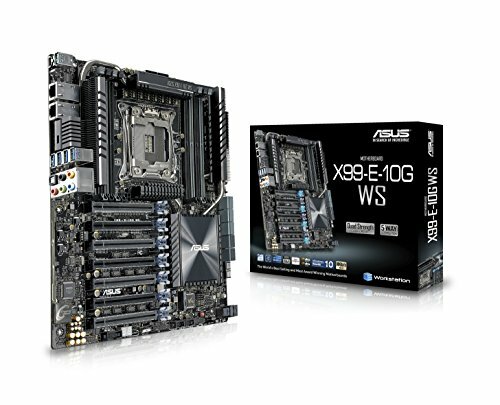 Asus X99-E-10G WS review: The epitome of workstation heaven? What do you look for in a motherboard? Clean style? Endurance? Good power draw? Never-ending connectivity? There’s a lot to think about when choosing the perfect motherboard. Much like a processor, you need one that’s appropriate for your build; suitable for what you want to do. In a lot of ways, it’s a contradictory component; by its very nature, it’s oxymoronic—without it, your system cannot run, but in terms of computational performance, it adds very little. 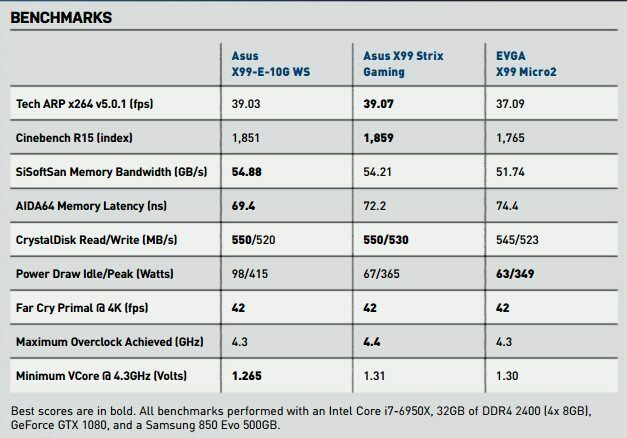 Just take a look at our benchmarks, and you’ll see that the differences between these boards are slim at best. Games, in particular, do not benefit in any perceivable way, performing exactly the same on a $200 board as they would on one that costs three times as much. In fact, what we look for during testing are any significant discrepancies between them. At which point, we delve into the inner workings to figure out what exactly is going on. With that in mind, let’s take a look at this beautiful piece of craftsmanship from Asus, the X99-E-10G WS. Part of Asus’s Workstation lineup, these HEDT monsters are designed solely for industry professionals, those people who need the absolute maximum when it comes to both connectivity and processing power; to power systems capable of dishing out hard 3D encodes and renders at a ridiculous rate of knots. It’s for those people that this particular board has been designed, and it’s not until you reel off the spec sheet that you truly appreciate just how much has gone into making that concept a reality. The E-10G features seven PCIe x16 slots, dual 10 Gigabit Ethernet, support for 128GB of DDR4 up to 3,333MT/s, one U.2 header, one M.2 PCIe x4 slot, 10 SATA3 6Gb/s ports, dual eight-pin EPS processor power, and an additional six-pin PCIe power for the board, ultimately supporting four-way SLI and CrossFire, and more. In short, it takes the likes of ROG’s prestigious Rampage V and throws it under the bus, with more connectivity, better overclocking potential, and a style that, let’s face it, is beautiful. “But, Maximum PC, four-way SLI and CrossFire are pointless. Why are you ignoring this?” Yes they are, reader. We agree. In fact, three-way is questionable, and even Nvidia’s official line with the latest Pascal cards is that it’s only really supporting two-way SLI going forward. But that’s only for gaming. In programs such as After Effects, Premiere Pro, and their more sophisticated industry-standard brethren, the more cards you have, the better. Nvidia GPUs, in particular, leverage their CUDA cores to enable a more aggressive ray-traced 3D Tenderer in Adobe’s Creative Cloud. So, let’s have a quick chat about performance. 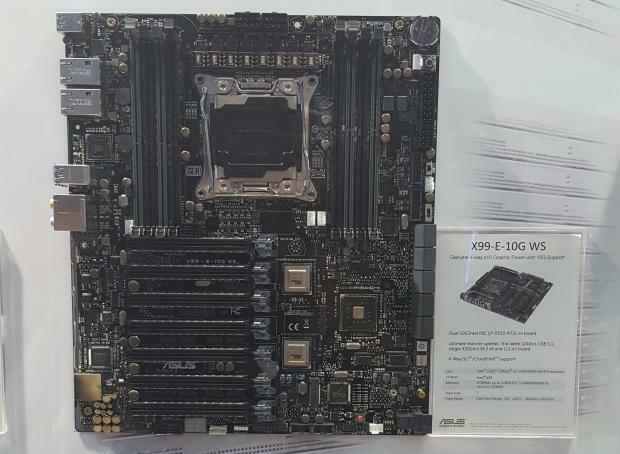 All in all, the X99-E-10G is a well-rounded board. Memory bandwidth is the highest we’ve ever seen at 54.88GB/s— still less than 3GB/s faster than the bottom end of our tested boards so far. Latency is some of the lowest we’ve seen (that’s good), and sequential reads and writes are equally quite high. And CPU performance is, as usual for Asus, consistently high, thanks to the enhanced ratio settings, increasing overall performance by nearly 90 points in Cinebench and 100 points in Fire Strike, compared to competing brands. All boring and bland, then? Well, not quite. The E-10G WS really shone when it came to overclocking. Most notably in how low a voltage we could apply to get that stable overclock. In our tests, we managed an astonishing 1.265V at 4.3GHz; in contrast, our EVGAX99 Micro 2 bottomed out at 1.3V. It doesn’t sound like much, but when you consider that it reduces overall CPU temperatures by almost 20 C, it speaks for itself. 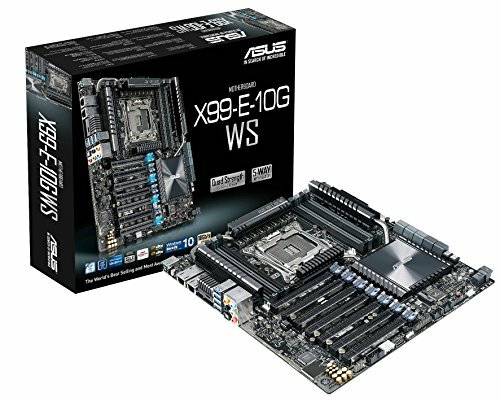 The X99-E-10G WS can carry up to four dual-slot graphics. processing-intensive simulation and rendering applications.